Russia’s biggest commercial bank, Sberbank, is planning to expand into markets abroad. The move comes despite the company's dropping out of Russia’s top three most valuable firms. Sberbank Chairman German Gref says the bank wants to penetrate foreign markets over the next five years. Sberbank intends to enter around 20 new markets, including large CIS countries. It’s also looking at other emerging markets in Eastern Europe and Africa. 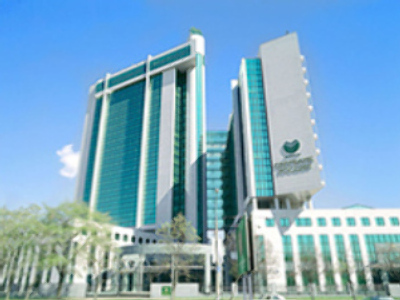 According to Sberbank’s report, its net profit grew by almost 50% to 4.9 billion dollars. But the bank is no longer one of Russia's three largest companies by capitalization, as reported by newspapers. Until March, Sberbank was the third largest Russian company, behind energy giants Gazprom and Rosneft. Now another oil company, Lukoil, has taken its place, leaving Sberbank back in seventh place. Business newspaper Kommersant reports that since the mortgage crisis made the financial sector much riskier for investors, the value of Sberbank has fallen 21% in the past year.